Tickets are per person and are available directly from our websites home page and includes entry to the event, scrumptious food and camping (Bell tent camping limited to first 20 people and is shared, we will ask you when you sign up if you want to sleep in a bell tent or bring your own tent). We want to make this event affordable and deliver value. This event is entirely run on volunteers and any profit will be reinvested into next years event. You will need to find you own accommodation for the Thursday night and if you are staying for the party on the Saturday. Can I enter this as an individual? We will not be accepting individual entries but are happy to find you a team with a similar object (Just for fun or to get a fast time) and ability. This is not a race and there are no podiums. We want this event to build into something that you love to do with friends or join to make new ones. Spending two days on the water with your team should be an awesome experience and if you work closely together you’ll be able to get a good time and still have some energy to celebrate at the end. Are there any restrictions on team numbers or equipment? Yes: This is a fast flowing river with many hazards along the way. Each team will have to have a minimum of 3 people and a maximum of 8. At least one of the team members must hold a current first aid certificate and the is a compulsory equipment list with penalties for infringements. What type of board can enter? Any stand up paddle board that is to mass production standard and in good repair. Boards will be routinely checked by our safety team before the start of the challenge. If I don't have a team can you find me one? Absolutely! Just get in touch and let us know whether you would like to be in a team for fun and socialising or to get a fast time. We will then do our best to hook you up with some like-minded people. Why do we need so much safety equipment compared to other events? The start of this challenge is nearly at the source of the River Trent. 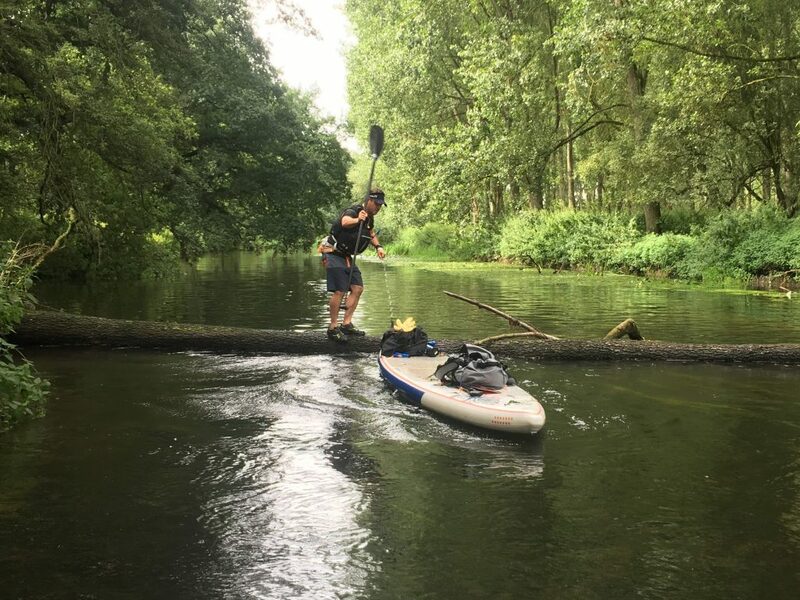 This means that it is very narrow and shallow in sections with trees and narrow bridges that at this time of the year can cause debris or hazards that could part you from your board and snag on traditional ankle leashes. There are also several snagging hazards for fins which can cause a board to suddenly stop and buoyancy aids can give a certain degree of impact protection (although this is not what many are designed for). Whilst the safety team will be doing every possible to monitor conditions and manage the course appropriately we cannot monitor all of the 100km. Therefore pfds, quick release leashes and basic rescue equipment essential. We also would not gain permission to run the challenge from the Canal and River Trust if this was not in place. What safety procedures will you have in place? We have a dedicated number to call (0800 06 999 10) which will automatically call all of out lead safety team until you get a response. You will be using the OS Maps App with our downloadable route map with off course alarm to ensure you don’t do the wrong way. We will have approximately 20 Safety Marshall’s along the course. There are checkpoints every 10kms and Emergency Access Points (EAP) every 5 kms. What happens if you do have a problem? Can we paddle at night? There will be strictly no paddling at night as this is part of our restrictions from the Canal and River Trust. Cut off times for each checkpoint will be monitored by the Safety Team. You can find them HERE. Are there forced sleeps or can we do this in one go? Everyone is required to stop overnight at checkpoint 5 and complete the challenge in two days. The clock will stop when your last team mate reaches checkpoint 5 and will be started again next day when you all set off. 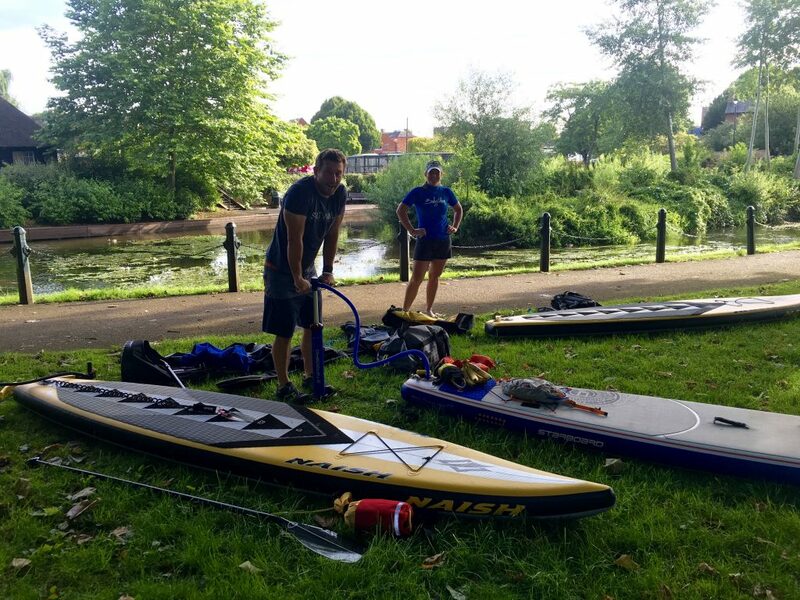 We would love to grow this into a SUP event with a festival feel more than a competitive one and hope we can achieve this by including things like no podiums, a Mystery Tour on Friday and live music at the finish line on Saturday. Can I see the route before the race?